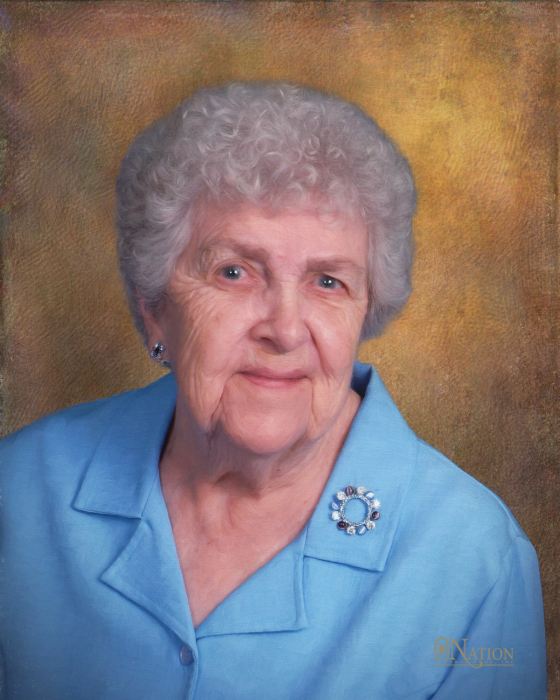 Mary Elizabeth Toward, 85, of McDonald, died Friday, September 21, 2018 at the Donnell House of Washington. She was born July 6, 1933 in McDonald, a daughter of the late George and Esther (Taylor) Charlier. Mrs. Toward was a 1951 graduate of Cecil High School and a homemaker. She was the book keeper for the family business, Toward Refuse, for many years. She was a member of Venice Presbyterian Church and a Deacon of the church. Mrs. Toward enjoyed watching and feeding birds, especially hummingbirds and cardinals. On January 15, 1958, she married William H. Toward, who died April 16, 2012. Surviving are three daughters, Tammy (Walt) Herbst, Terri T. (Charlie) Nimpfer and Sharon D. (Kenny) Wright, all of McDonald; two sons, George E. Toward and John C. Toward, both of McDonald; a brother, William (Arvella) Charlier of Norwalk, OH; eight grandchildren, Mike (Melissa) Herbst, Melinda (Brian) Branthoover, Bill (Tsuyee) Herbst, Taylor (Constance Yount) Hughes, Laura (Matt) Tharp, Stacy (Chris) Kelly, Kenneth and Eli Wright; seven great grandchildren; and a close family friend, Carol Bruce of McDonald. Deceased are a son, William H. Toward, Jr.; a sister, Gloria Charlier; and two brothers, George and John Charlier. Friends will be received from 7-9 p.m. Monday and from 2-4 and from 6-9 p.m. Tuesday at Nation Funeral Home, Inc., 220 E. Lincoln Ave., McDonald, where services will be held at 11:00 a.m. Wednesday, September 26, 2018 with Rev. Gary Chorpenning, pastor of Venice Presbyterian Church, officiating. Burial will follow in Robinson Run Cemetery, McDonald. The family suggests memorial contributions be made to Venice Presbyterian Church, 3694 Millers Run Rd., Venice, PA 15321 or to the Donnell House, 155 Wilson Avenue, Washington, PA 15301. Online condolences, photos and additional information are available at www.nationfuneralhome.com.